Rabat, Morocco, 1 August 2017 – The Honourable Tun Musa Hitam, Chairman of the World Islamic Economic Forum (WIEF) Foundation, leads an envoy representing the Government of Malaysia to extend an invitation to His Excellency Dr Saad Eddine El Othman, Prime Minister of Morocco to the upcoming 13th WIEF at his office today. This year’s forum will focus the impact and challenges of disruptive change forces influencing nations, businesses and communities. The 13th WIEF is jointly organised by the Sarawak State Government of Malaysia and WIEF. Confirmed leaders for the event are The Honourable Dato’ Sri Mohammad Najib bin Tun Abdul Razak, Prime Minister of Malaysia, Patron of WIEF Foundation, His Excellency Rustam Nurgaliyevich Minnikhanov, President of the Republic of Tatarstan, The Right Honourable Datuk Amar Abang Haji Abdul Rahman Zohari bin Tun Datuk Abang Haji Openg, Chief Minister of Sarawak and His Excellency Dr. Bandar M. H. Hajjar, President of Islamic Development Bank Group. “In this time and age of disruptive change, we should not shy away from collaboration as it is pertinent in driving the key economic indicators. Here at WIEF, we anchored our work towards uniting nations and driving businesses to impact communities at large through collaboration. Co-operation across different economies is vital in accelerating progress especially when Emerging Markets and Developing Economies (EMDEs) are the focus of growth on the next wave of global development”, said Tun Musa Hitam, Chairman of WIEF. In line with Morocco’s drive to modernise its agricultural sector, diversify its industrial sector and scale-up its services sector in order to consolidate their market institution; WIEF has a proven track record in advocating collaboration between economies and is able to facilitate Morocco to collaborate with key industry leaders and economies in pushing for its agenda via its forum. 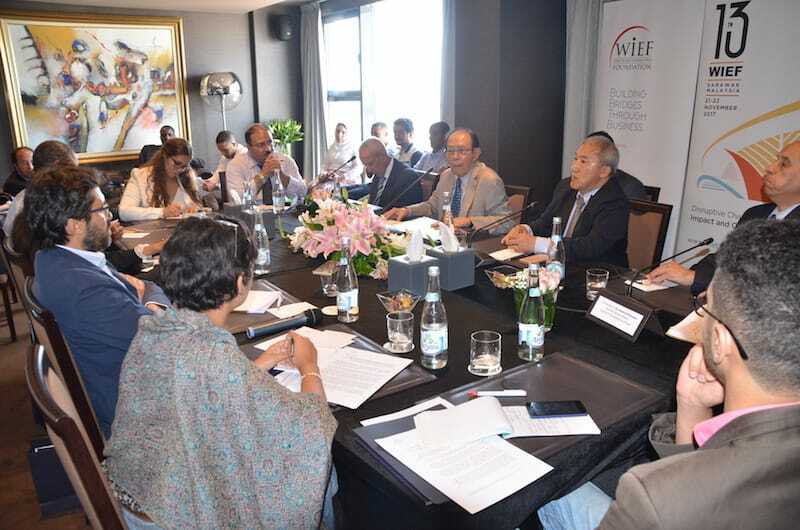 Morocco is also paving its way towards the digital economy space by creating a digital platform for the entrepreneurs and this effort can be further amplified with the support of WIEF strong entrepreneurship network globally. The 13th WIEF aims at bringing together key industry players and experts to drive insightful conversation on five key growth vectors at the forum: Disruptive Science, Technolgy and Innovation, Halal Consumables and Services, Islamic Finance and Law, Arts, Culture and Design as well as Entrepreneurship and Emerging Spaces. Since its debut in Kuala Lumpur in 2005, the forum has grown significantly in scope and complexity; focusing on a wide array of themes – from ‘Gearing for Economic Resurgence’ in 2010 to ‘Decentralising Growth, Empowering Future Business’ in 2016. This year, the forum will bring its signature brand of incisive discourse and impactful initiatives to Sarawak at the Borneo Convention Centre Kuching, from 21 November to 23 November 2017.